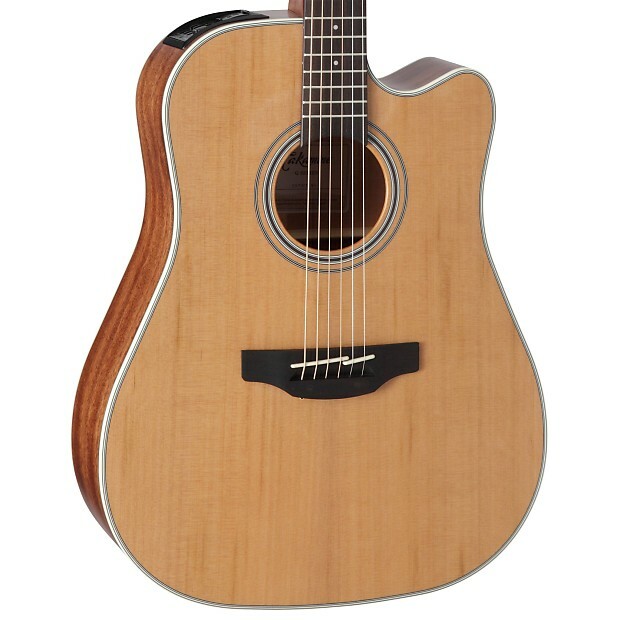 For players looking for a different sound, the GD20CE-NS combines a solid cedar top with mahogany back and sides to produce a warm, detailed tone that works beautifully for a wide range of musical styles. 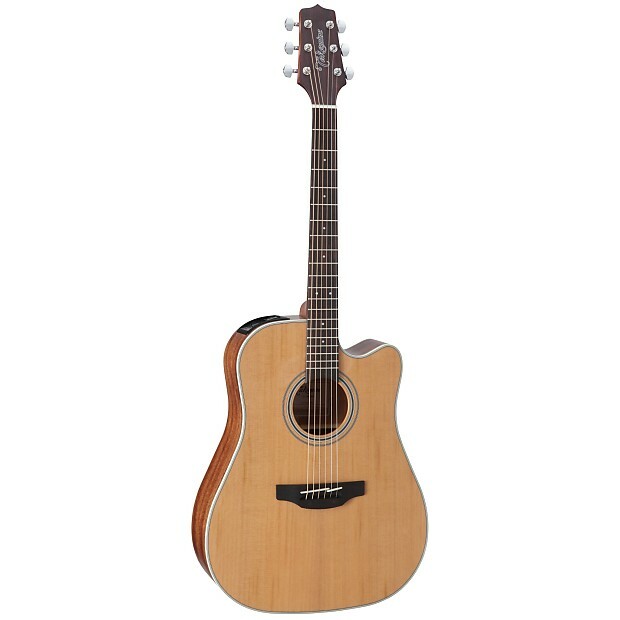 The slim satin-finish mahogany neck and 12”-radius ovangkol fingerboard provide great feel and playability, while the onboard Takamine TP-4TD preamp system gives you a built-in tuner with three-band EQ and gain controls for excellent amplified performance and versatility. Other great features include a synthetic bone nut and split bridge saddle, ovangkol headcap, pearloid dot inlays, chrome die-cast tuners and an elegant Natural satin finish.